The Kingdom of Italy fought on the side of the Allied powers of France and Great Britain in World War 1, declaring war against the Ottoman Empire, Bulgaria, and Germany in August 1915, October 1915, and August 1916 respectively. Their battlefields were mostly different to the open trench covered battlefields of northern France and Belgium, however. Other than the plains of the north-east, most of northern Italy is rugged mountainous country and Italy’s war on its northern border was one of the most brutal of a very brutal war. Any tank for Italian use would have to not only fill the need to fight in very mountainous terrain but also in colonial wars in Africa. The British had already deployed tanks in World War I and so had the French. 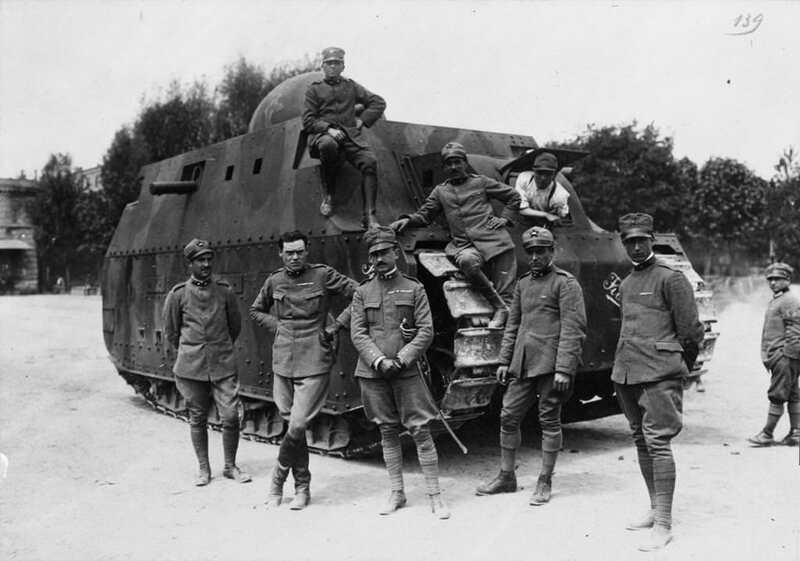 The use of the Renault FT by France had been witnessed by Italian observers in 1917, and tanks were the crucial element that was helping the British to advance in France. As a result, inquiries were made to obtain a number of both Renault FT and Schneider CA1 tanks direct from France. 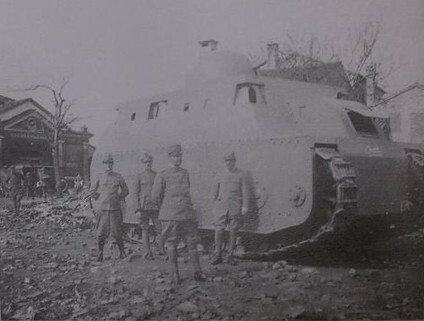 In a contract dated 13th October 1915 the Fiat company had already been tasked by Major General Giulio Martini with the design of a 40-tonne armored vehicle with a 65mm gun in the turret and armor superior to an armored car. 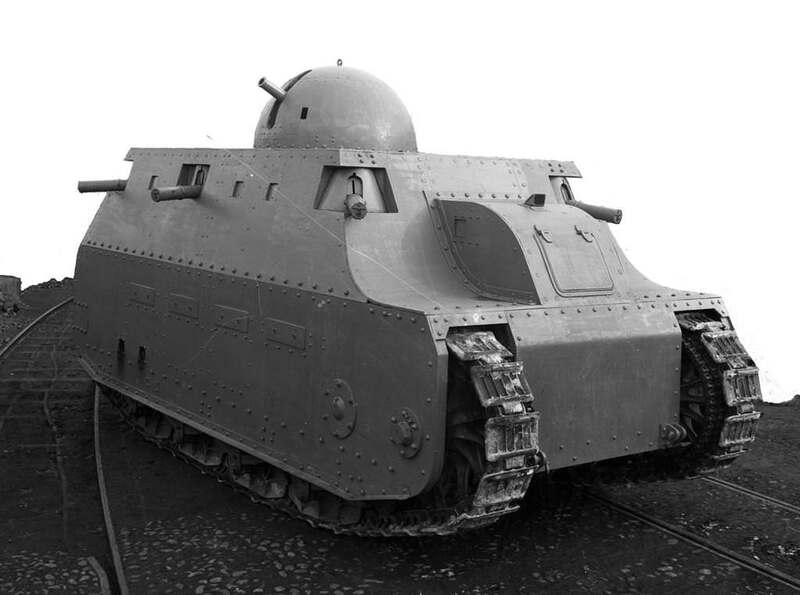 It is unclear exactly how much was done to fulfill this contract until the end of 1916 after the British had used tanks, but the requirement for such a vehicle so soon after entering the war was an indication of the commitment to the war effort and the faith in Fiat to create a machine to help win the war. 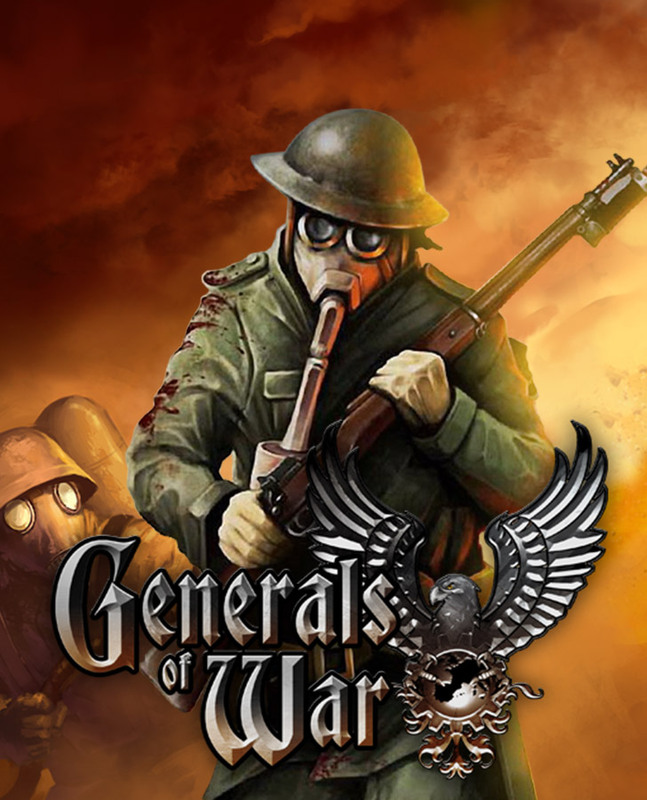 It is unknown why this requirement had been delivered so soon after the entry into the war but it could be speculated that it resulted from seeing the battles already fought on the Western Front, or as a result of a sharing of information from its allies, Britain and France. 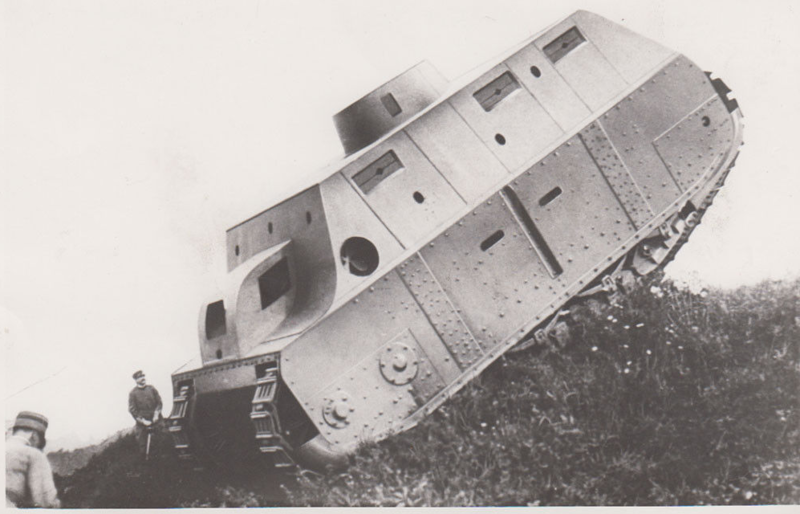 By the time a design was ready by Fiat though official interest was being shown in the French tanks instead. The Fiat design, from the pen of Carlo Cavalli (a technical director at Fiat) and Giulio Cesare Cappa (formerly a car designer at Aquila, famous for racing cars) was finally ready in January 1917. This design under the original contract was ‘Automobile blindata d’assalto tipo 2000 and this design from Fiat was instead to now be commonly known as the ‘Fiat 2000’ although at least one blueprint refers to it as a ‘mobile fort’. Design and construction caused a lot of friction between the two industrial giants of Fiat and Ansaldo. The project was very expensive and Ansaldo did not have a formal contract from the army for production of the armor plate used. This armor was to be the best available at the time, high-quality vanadium armor plate from the Ansaldo works at Terni, which had originally been destined for the warship ‘Christopher Columbus’. Whatever the exact details of the dispute were, it was resolved by Mario Perrone (Ansaldo). The armor would be supplied by Ansaldo and assembled at the Fiat San Giorgio plant at Sesti Levante. 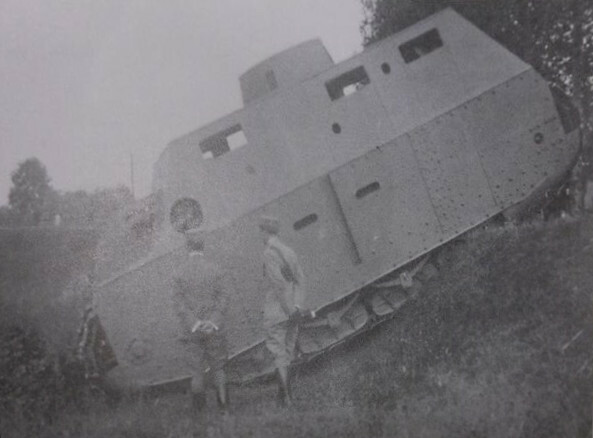 Prototype vehicle number 1 was still incomplete by June 1917 when it started trials. Only the hull was complete and it was still lacking the upper-structure, which constituted the fighting compartment of the tank. 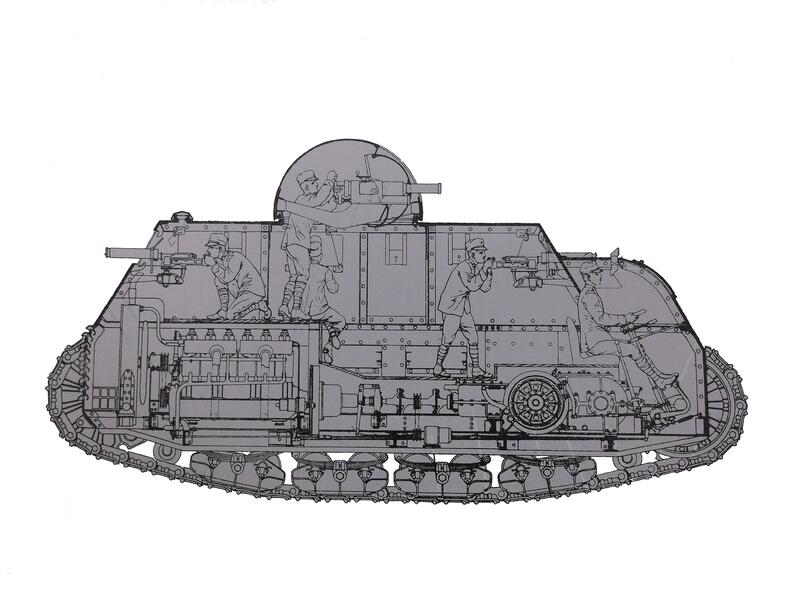 Unlike contemporary British tanks, the Fiat 2000 did not use the ‘all-round’ track but instead, a more conventional track run going around two large diameter wheels at each end and protected by armor over the sides. Drive from the rear mounted engine was taken to the front via a longitudinal transmission shaft which drove the front sprockets by means of a chain drive. Cooling was by means of air drawn in through the large radiator grille at the back. The second vehicle would not be completed until February 1918. The vehicle layout was simple but effective. The lower section comprised the engine, transmission and all of the running gear. It was divided by a bulkhead from the space above. This unusual construction also had the advantage that it kept the engine area sealed off from the crew space. This was very advantageous from the perspective of reducing the risk of smoke intoxication of the crew and safety in a fire and allowed the vehicle to be made in separate facilities and then put together later. Prototype number 1 received a flat-topped round turret and it is not known when this was switched to the distinctive dome-shaped turret. Prototype number 1 can be distinguished from number 2 by the construction of the armored skirt on the lower half. Prototype No.1 had a multi-piece armored skirt whereas No.2 had a single piece skirt. The upper sections and number of openings were also different and, crucially, the guns at the front and back are in the corners on No.2 but only in the front and rear faces respectively for No.1. For the turrets, the second prototype vehicle built seems to have gone straight to the dome style turret. In video footage (IWM #460) of the Fiat 2000 Prototype No.1 during trials she can be seen climbing a stone step the height of its own tracks and at the end indications that the original flat-topped turret was just a mockup as it appears to come loose. 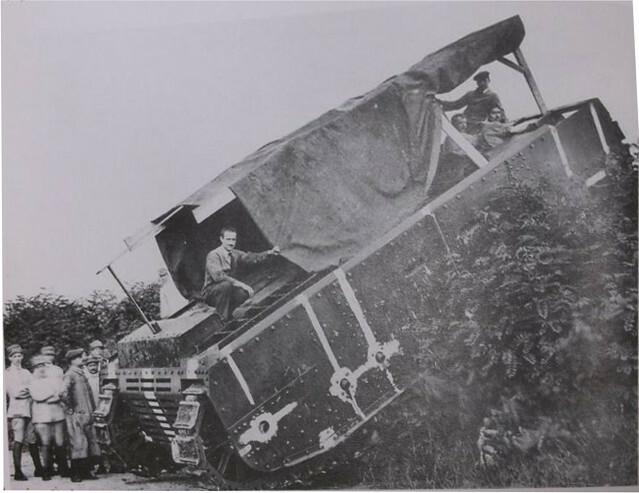 The driver sat in the front center of the tank in a bulbous nose which afforded a very good view of the route ahead via a periscope or from the large hatch which could be opened to improve visibility and airflow. 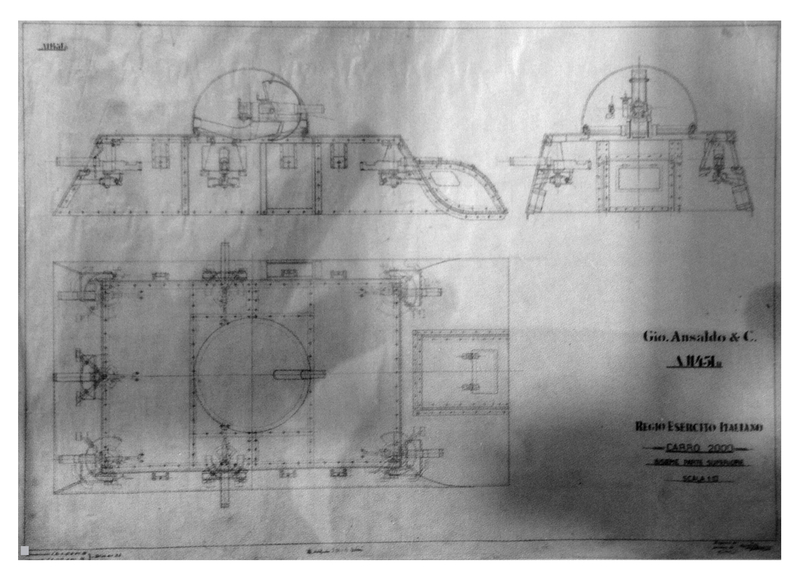 Access to the fighting space was by means of a large door on the left side of the fighting compartment and the plans and photographs show what appears to be a circular ventilation fan in the front left-hand side of the vehicle on No.1, another feature sorely needed on WW1 tanks. At some point, a multi-tone camouflage pattern was applied too. 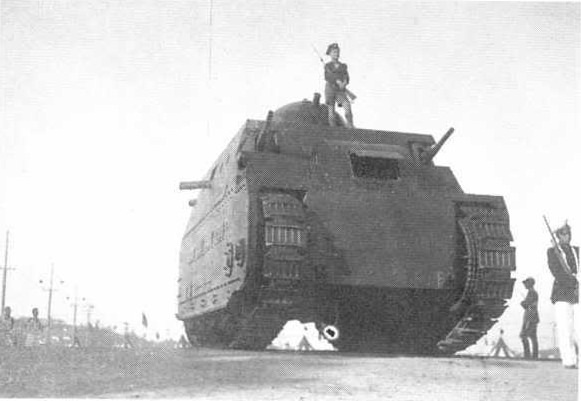 The large boxy structure of the vehicle was made from 20mm thick armor plate as described before with only the rear of the tank being thinner at 15mm. This armor thickness is low by WW2 standards but in WW1 this was more than sufficient for any machine-gun fire or even the German anti-tank rifle. Large skirts made from the same material covered the whole suspension arrangement of 4 sprung bogies on each side and the tracks. One additional note is that Prototype No.1 has small sections covering the bottom part of the large wheels at each end. The purpose of these is not known but they are not present on vehicle number 2 and appear to have been removed from vehicle number 1 later too. 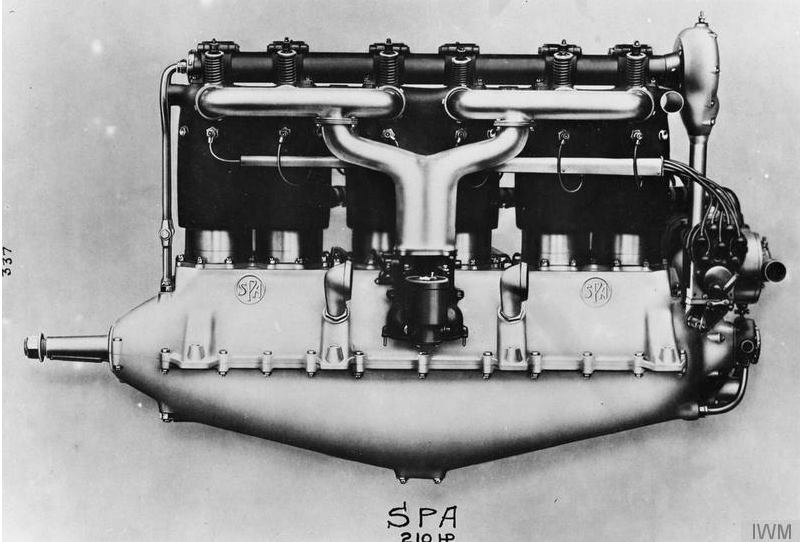 Power for the Fiat 2000 was provided by a 6 cylinder 250 hp Fiat A12 aviation petrol engine providing the design with a power to weight ratio of 6hp/t and a top speed of 7.5 km/h. The machine was still very large, too large in fact to be ideal for use in the Italian mountains and very heavy. 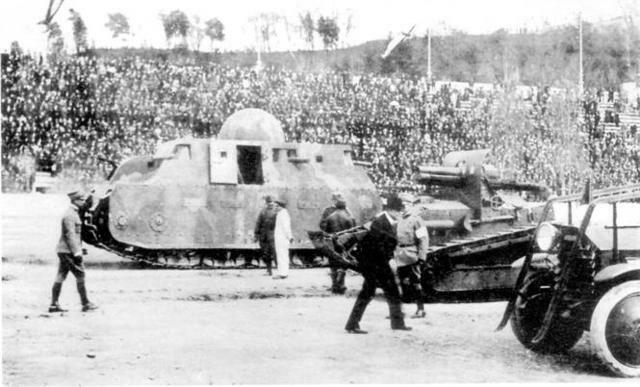 The Fiat 2000 had a mass of 40,000 kg, making it significantly heavier than the British tanks and even the German A7V. Despite this large size, the fighting compartment was still cramped although not as cramped as other tanks of the era. The fighting space was perched on top of and around the mechanicals with space for the crew. 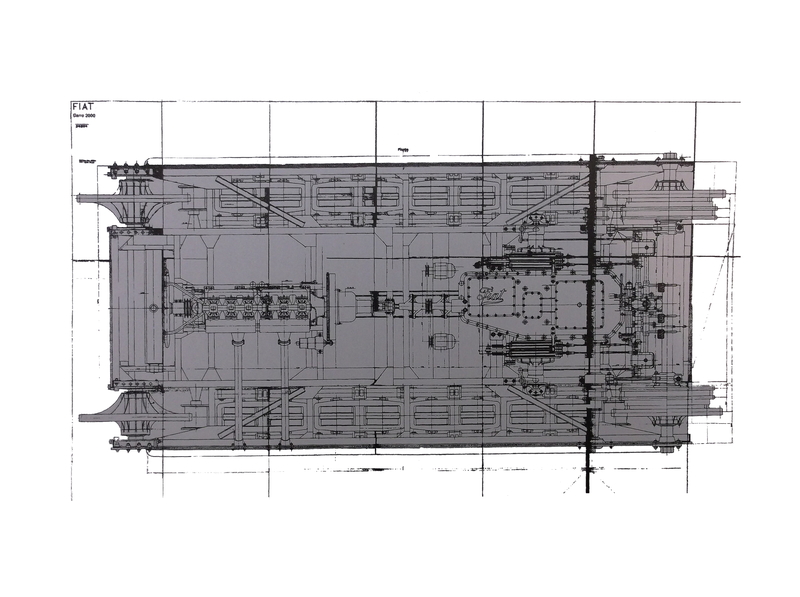 A crew of up to 10 men is sometimes quoted in order to man all of the weapons but 8 is more likely due to the space considerations and that not all of the weapons needed to be manned simultaneously. The difference may also stem from the variations in fighting space arrangements from vehicle No.1 to vehicle No.2, with fewer fighting loopholes. Unlike its far more cramped British counterparts though, most of the crew could, in fact, operate the weapons standing rather than in the very uncomfortable semi-squat position needed to operate sponsons guns on the British designs. For armament, the original Fiat 2000 was bristling with firepower. Up to eight machine-guns (Fiat M.1914 6.5mm) (three at the rear, two forwards, and one on each side) could be mounted in the various portholes in the sides but the main gun was fitted into a small dome-shaped turret mounted on the roof. The low round turret from the prototype, which likely only suited a machine-gun, was gone and this much taller dome turret provided far more room for a cannon. One source claims that a 14mm heavy machine-gun was suggested for the design during development which could be the answer to what was intended for the first turret but there is insufficient information to say for sure either way. Major Alfredo Bennicelli (the Italian Artillery officer who was responsible for bringing the Renault FT to Italy) seems to have been pushing for a 75 or 76 mm gun for the turret (the most probable choice being the 75/27CK) and in May 1918 it was suggested instead to select a 77 mm cannon instead. In the end, it was the 65mm mountain howitzer which was selected. The selection of a howitzer and the unique turret design would permit the Fiat 2000 to not only fire direct but also at a high angle as a howitzer, the drawback being a large dead spot close to the vehicle which the main gun could not cover. This was a gun more than capable enough to fulfill the functions of the tank for assaulting enemy positions or providing fire support for attacking troops. The 65mm Turin Arsenal M.1910/M.1913 mountain gun was in good supply, had armor piercing and high explosive shells as well as shrapnel rounds available to it at the time making it an ideal weapon to select. 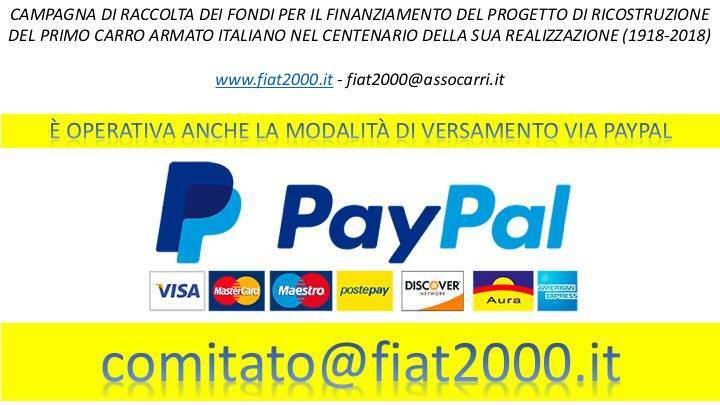 The number of Fiat 2000’s has been subject to conjecture for nearly a century. Some sources state that as many as 6 vehicles were ordered and the first edition of ‘Der Taschenbuch der Panzer’ by Heigl states that as many as 10 were either intended to be made or in some state of production. An examination of the production records, however, shows that only two 65mm guns and twenty machine-guns were ordered for the project which suggests that only two vehicles were ever planned. 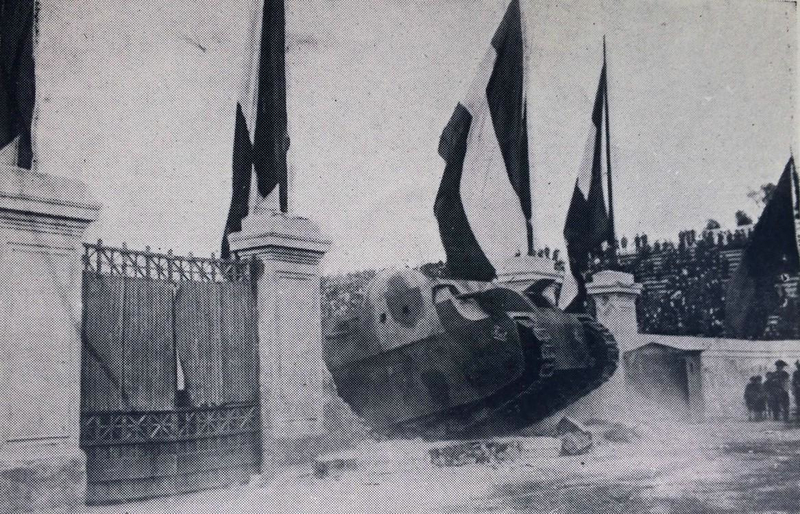 Either way, it was the adoption by Italy of the French Renault tank which killed the Fiat 2000. Just the 2 examples of the Fiat 2000 had been finished before production of them was officially discontinued on 4th November 1918. Any remaining parts which may have been around or for a future production were scrapped at this time. Fiat did not need to make more of them anyway. 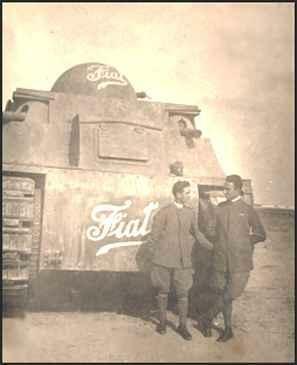 The Renault FT contract had gone to Fiat who went on to manufacture them under the name ‘Fiat 3000’. Fiat had managed to produce a rival to the design which they won the contract for, so effectively had managed to guarantee that they would get to build the tanks for the Italian Army. Despite the project falling through, the Fiat 2000 still entered service. 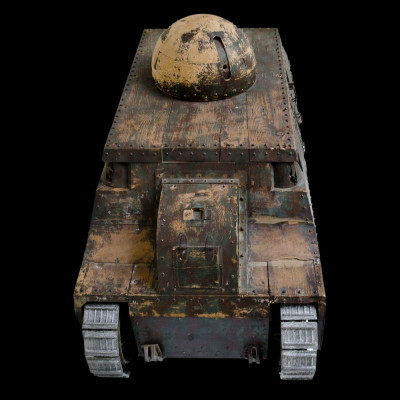 Prototype No.2 was sent to the front lines in 1918, presumably for trials in the sort of terrain so common in the western front, but it is not known to have seen combat. In service, it was known as the Fiat 2000 M.1917 (model of 1917) but the ‘M.17’ part seems to have been retrospectively applied after modernization of one of the vehicles was done in 1934). Despite having appeared too late to see combat in WW1, Italy had colonial possessions to take care of. The modern-day nation of Libya had been taken by Italy after the Italo-Turkish war of 1911 and post-war there were a series of Arab revolts against Italian colonial rule. 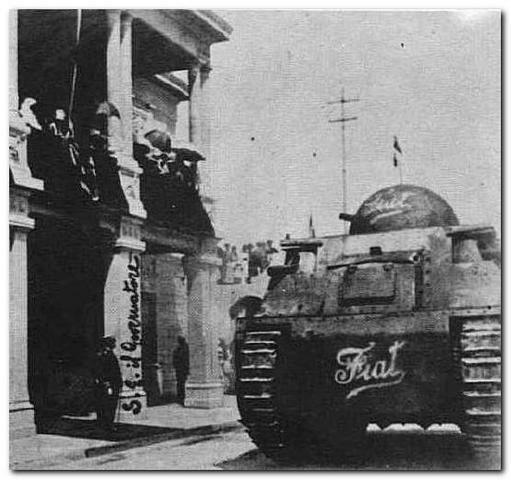 At least one (some sources claim both) of the Fiat 2000 tanks was dispatched to Libya to bolster forces there as part of No.1 Batteria Autonoma Carri D’Assalto in the early 1920’s. The only known account of their combat use comes from ‘Le Forze Armate’ stating both vehicles were dispatched as part of an armored force to reconquer Giarabub, a strategic oasis about 240 km (150 miles) south of the Port of Bardia. One vehicle is alleged to have broken down at Porto Bardia and the other some distance from the action leaving the actual battle to be carried out with only Fiat 3000’s and a variety of armored cars and trucks. Other sources disagree stating only one of the tanks ever went to Libya. Col. Pederzini states that one of the Fiat 2000′s was dismantled in Benghazi prior to 1935 for unstated reasons but if it is true then probably due to a lack of spare parts. Whether they saw any action elsewhere in Libya is not known at this time but the late Libyan dictator Colonel Gaddafi put them on his stamps in action. As of an Army inventory conducted in 1925/6, only a single Fiat 2000 was shown so certainly by this date one vehicle had been decommissioned or scrapped. The last known photograph of No.1 is dated March 1924. 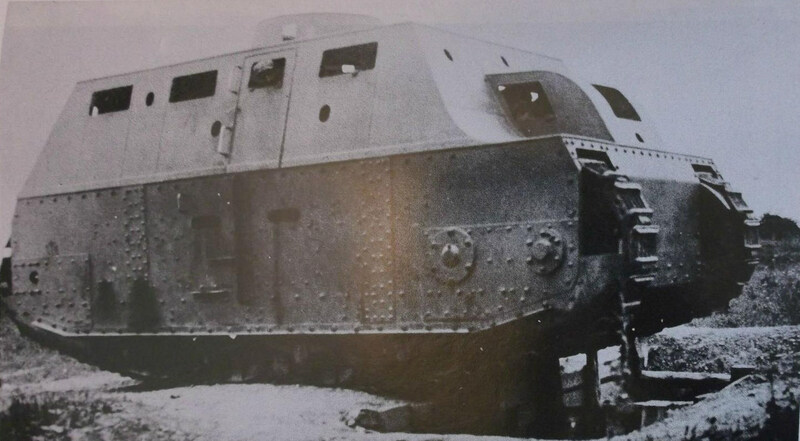 As the only vehicle appearing in photographs after 1925/6 is the No.2 vehicle it seems that No.1 was scrapped. 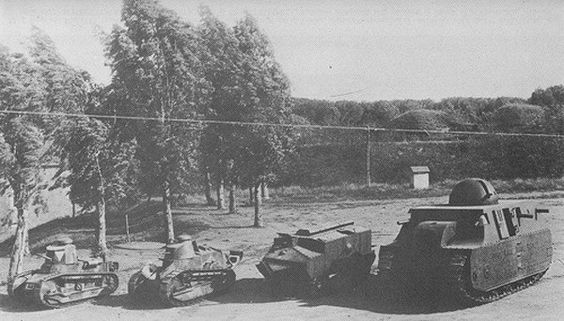 Photographic evidence can definitively show vehicle No.2 was in Italy afterwards though lending credibility to the theory that both tanks were sent. 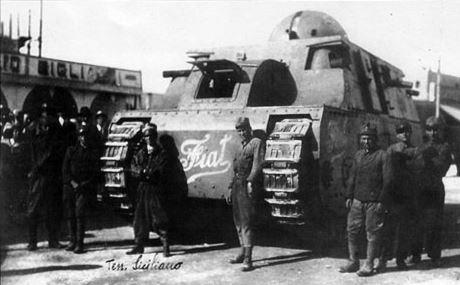 At least one of the Fiat 2000’s was used post -Libyan rebellion for various propaganda purposes, especially after the fascist government of Benito Mussolini came to power in Italy in 1922. The vehicle was used for training purposes too and reappeared in 1934 as the ‘M.34’ version (see earlier). This version retained the dome turret, the 65mm howitzer, and at least 4 machine-guns but the front had been modified. Instead of mounting two machine-guns in the front corners, it now mounted two 37mm L.40 anti-tank guns instead. From the identification features, it seems that this is also No.2. By the start of WW2, the last remaining Fiat 2000 completely disappears, sadly probably just scrapped and salvaged for the war effort. At 40-tonnes, it was the heaviest tank produced in Italy for nearly 40 years. La Stampa reports that it was last known to be in a foundry at the end of World War II although its last public sighting appears to have been in about 1939. The first vehicle probably never came back from the campaign in Libya if indeed it even went. No photographic evidence has been located confirmed that vehicle (No.1) went to Libya, or even of the vehicle at all after 1918/1919. 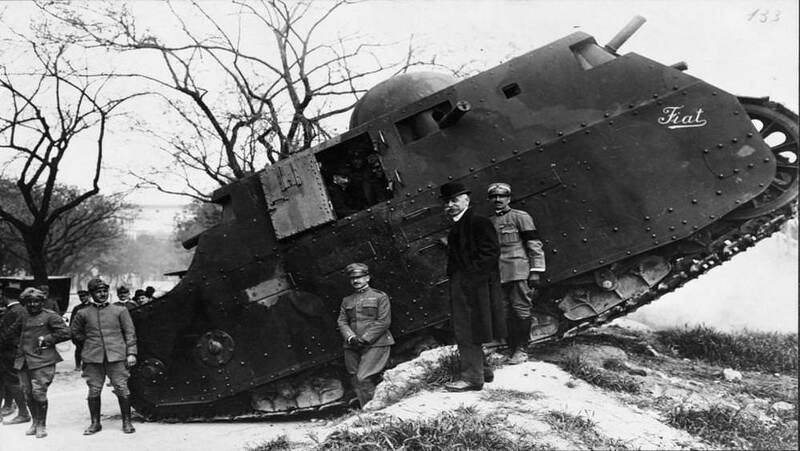 The Fiat 2000 was undoubtedly large but was probably the most powerful tank built in WW1. No trace of either the Fiat 2000’s remains today outside of the original wooden construction model, blueprints, and photographs. 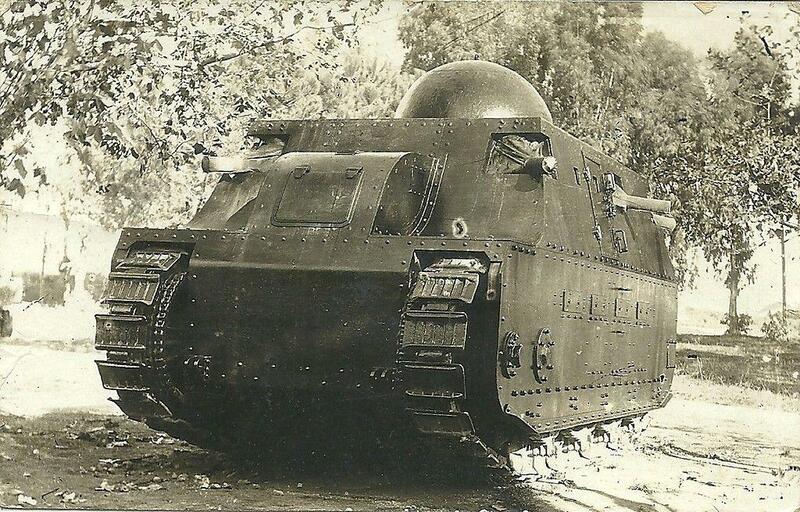 Italy’s first indigenous completed tank was one of its largest and suffered from bad timing. Too late to make any difference in the war for which she was built, unable to make a difference in the colonial wars, and then too outdated to be of any use for WW2. 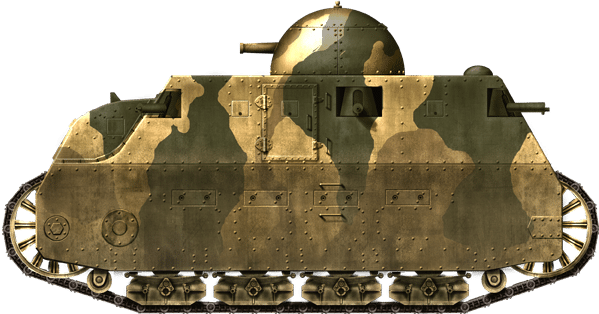 The Fiat 2000 remains one of the most distinctive tanks ever built, a unique design and one which showed the independent design skills of Italy in tank design and manufacturing. In 2017, the original 1:5 scale Quarello model was purchased by an Italian organization called Spa Militaire, at auction with a plan to manufacture a full-scale reproduction for an estimated cost of 700,000 euros. The intention of the project is to reproduce an important piece of Italian military and industrial history. 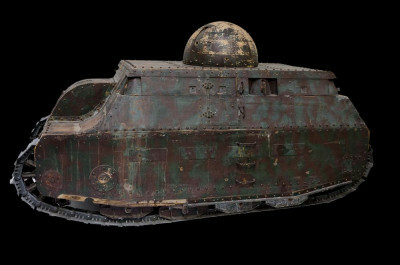 Eventually, it is planned to commercialize the vehicle for rentals, films, and exhibitions help finance the restoration and rebuilding of other old Italian tanks. Tanks Encyclopedia has been working with this group to share information and resources to assist them and if readers wish to help they can email the group inbox at Fiat2000@assocarri.it. Where to donate to the Project.